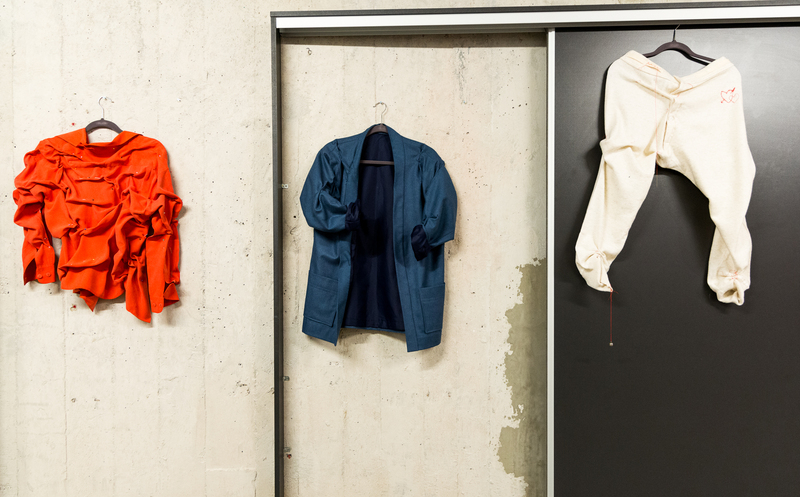 For Ruby Hoette, our clothes materialise the social, cultural and emotional transactions that we experience in our everyday lives. As a curator, researcher, maker and co-convenor of the new MA Design: Expanded Practice including the Fashions and Embodiment Studio at Goldsmiths (UK), Ruby is fascinated with the construction of value and meaning through fashion. In this fourth installment for Fashion Unlearned, Address contributor Emily McGuire speaks with Ruby about her creative work and the role of education in promoting critical ways of making, engaging with and thinking about fashion. Emily McGuire: How did your critical interest in fashion begin? Ruby Hoette: The beginning wasn’t so much an interest in fashion; it was an interest in clothing. I see a distinction between them. Clothing is part of the everyday, the mundane practices we all engage in. During my foundation year at the Gerrit Rietveld Academy in Amsterdam, I engaged in all kinds of creative practices from graphic design to sculpture. And I was always interested in photography as a way to observe what was going on around me. But what I saw happening in the fashion department caught my attention because it was related to the body. Clothing is an interface or tool to connect with the world, whereas fashion is not necessarily a material object; it’s about symbolism, narratives and constructed spaces in society. My initial attraction was very much to clothing as an object, the materiality of it, and how it interacts with the body. The performed and symbolic aspects of fashion came later to my practice, but the idea that clothing is an interface has always stayed with me. You can manipulate it to learn more about how we behave and interact on a very basic level. It has also allowed me to escape some of the connotations the word “fashion” has. It’s extremely loaded – the perceived superficiality and commercial aspects of fashion are embedded in that word. For me, clothing offers a way around that. 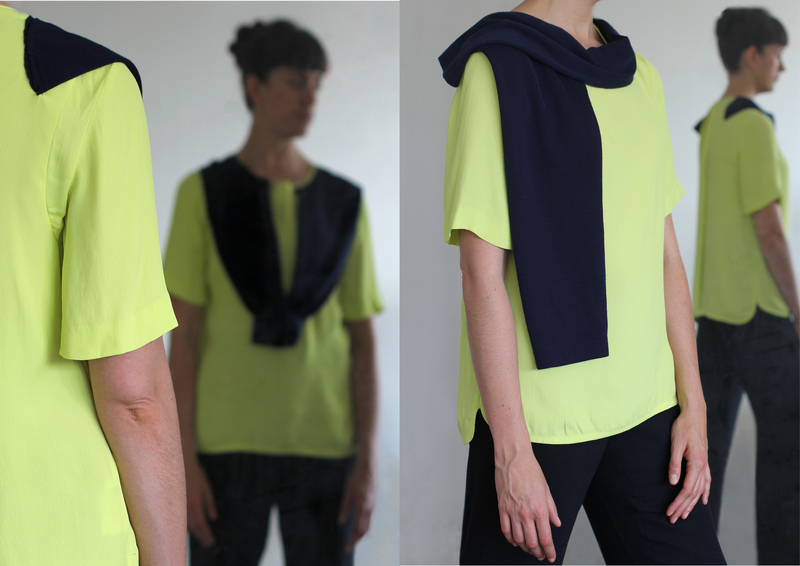 Even though it’s a product, my work is more about personal narrative and everyday relationships with clothing. What frustrates you the most about how the current fashion industry operates? It’s a case of different interconnected issues that evolved together to make the industry what it is today. One of them, which I’ve looked at in my work, is the authenticity of fashion collections being attributed to one particular designer and brand name. Is it really necessary as a designer to put your stamp on particular collections and pieces of clothing? This doesn’t really reflect the reality of production. Most clothing passes through many pairs of hands to come into being, and a designer being solely responsible for its creation fails to acknowledge the inherent complexity of the fashion system. The other issue I’m interested in is time. Its relation to fashion can be problematic and therefore open to exploration. For example, the use phase of garments is a time period where possibly the most “designing” happens. In general, an understanding of the lifecycle of garments is undervalued and in particular the role of the wearer and ideas around ownership offer potential for new perspectives. How might wearers be empowered to take more active ownership of their clothing? Or to the other extreme, what would fashion look like if we didn’t own clothes? I’m interested in understanding ownership as something that comes with responsibility and knowledge. There are some pockets of the fashion industry that are starting to engage in these questions but in general it is incredibly negligent in terms of fostering responsibility. Fashion education traditionally celebrates and encourages the autonomy and glamour of the fashion designer. Often, students wind up considering their market as an idealised version of themselves or a favourite muse in their final collection. 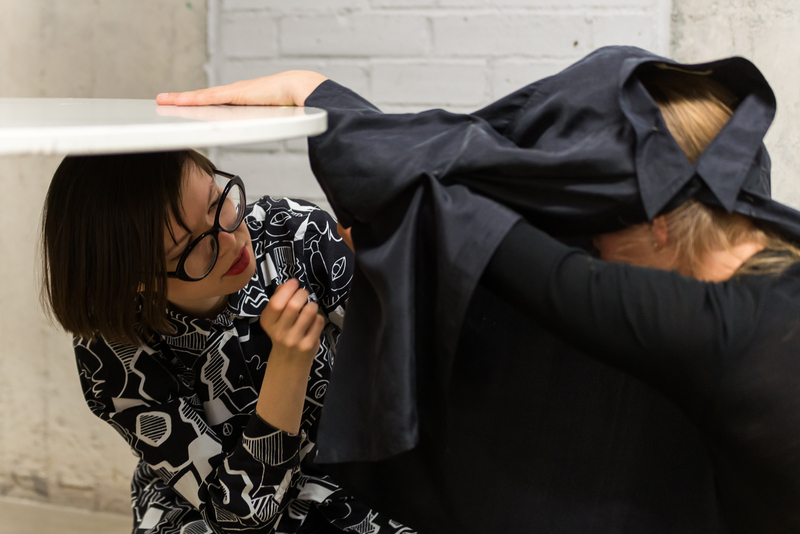 Differently, your creative practice explores fashion as collaborative, conversational and interactive. How can education encourage students to design and make fashion with social responsibility and civic virtue in mind? One approach I am interested in, which Richard Sennett explores in his book Together: The Rituals, Pleasures and Politics of Cooperation, is that co-operation is a skill we need to learn. Our whole education system is structured around competition rather than developing the ability to work productively together. And marking systems tend to be more focused on comparison rather than developing individual student’s strengths. Fashion education needs to start teaching students collective ways of working and an understanding of the context they are working in. For example, how do you engage in collaboration? What are the different roles you need to do that? It’s a really difficult position to be in as an educator because on the one hand, we’ve got students with certain expectations of fashion education – lured by the myth of becoming the next big designer, and they’re also going into debt to study and worried about finding work when they graduate. On the other hand, we still want to be educating students to feel confident enough to start questioning those entrenched practices in the industry so they can incrementally change it from within. At the beginning of the MA programme at Goldsmiths we look at the problems within the fashion industry in depth – environmentally, socially and so on. Students can become paralysed because they’re exposed to all these issues and feel powerless to do anything about them. After that, you have to encourage them to embrace the complexity and to fall in love again with the act of making. This kind of tender engagement with what you do is important. Yes, it’s important to be critical but people often think criticism is negative, aggressive and unproductive. We need to make something that builds new ways of doing and communicating, rather than just breaking things down. 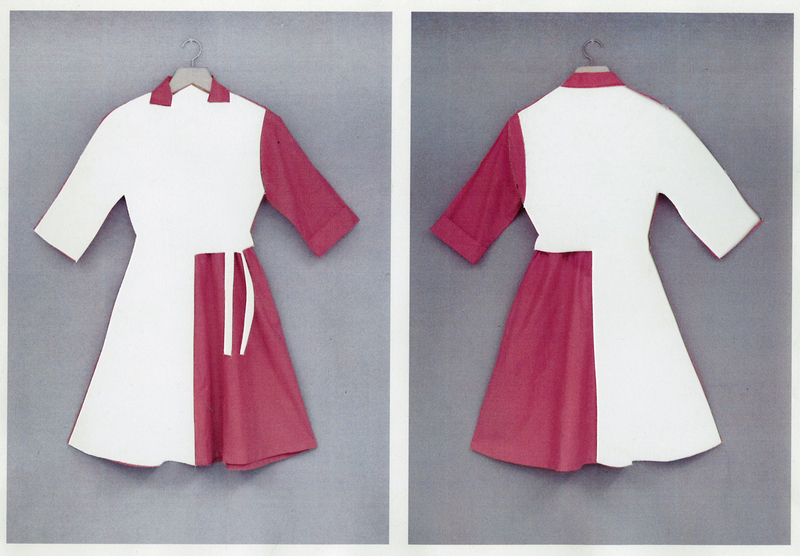 Col·lec·tion – part 1 (2012) features a series of dresses found at the Salvation Army; each dissected and reconstructed to form two parts of each original. This project explores the relationship between the fashion collection and authorship. Although your work is critical of fashion, it’s also deeply sensitive, observational and compassionate towards how we engage with clothes. Even though you’re not expressly commenting on sustainability, I feel like this kind of sensitivity toward fashion about slowing down our consumption of it is missing from mainstream initiatives. It’s not like too many companies are encouraging us to unpick their clothes or document our relationships with them. What are your thoughts on why this might be? I think it’s because we’re living in a capitalist paradigm in which profit is the only measure of success. You mentioned earlier that this is the biggest failure of commercial fashion and I couldn’t agree more. I’m one for small acts – metaphorically and physically. There’s a power in the minute and the detailed. What I try to do in my practice is zoom-in on the details as a way to come to grips with huge, big-picture questions like capitalism. I’m exploring how we might start with what’s around us, with what’s actually touching our skin, to build a different system – stitch by stitch. It sounds quite utopian but I wouldn’t be an educator in fashion if I weren’t optimistic. What is the most memorable thing you’ve learned about how we engage with clothes from the workshops and exhibitions you’ve hosted? The fashion industry operates to make you feel like you don’t know what’s going on or that you’re not “in” fashion; there’s this fear cultivated to drive consumption. In my workshops, I try to change that. If you’re one of those people who think, ‘I don’t know anything about fashion’, you still have tacit knowledge and you can still develop the confidence to be really playful with clothing. The moment when people realise that engaging with fashion is not reserved for designers or the industry, but something we all have access to. The joy of feeling empowered in relation to dress really strikes a chord with people. There’s an element of joyful discovery in taking something apart, like clothing. Then, you’ve got to spend time with it to understand how a garment becomes a metaphor for the system. You begin to think of clothing as a tool you can use, rather than something imposed on you. Finally, what role can fashion play in creating a better world? If we start using clothes to build communities and connections rather than exclusivity, then we’ll go a long way. Fashion is an incredible mode of communication because it’s visual and all around us. In a way, we’ve got it easy because we’ve got this powerful medium connected to people’s everyday lives. Think of how brands use T-shirts for slogans – the impact is incredibly immediate and visceral. If you want to create change, clothing and fashion are the perfect sites for that. It’s about switching the conversation around and saying, what have we got to work with? It’s about taking collective responsibility and not seeing yourself as a sole crusader but connecting with others to create a bigger voice.